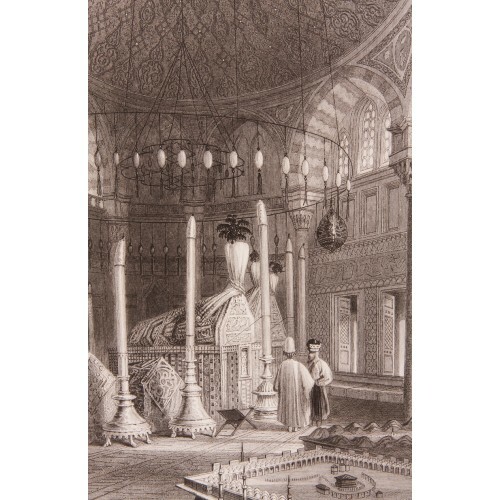 The steel engraving of William Henry Bartlett had appeared on Miss Julia Pardoe’s famous travel book, "The Beauties of the Bosphorus" published in London in 1838. This travel book describing the Ottoman daily life and the beauties of Istanbul became one of the most popular books in Europe in 19th century. 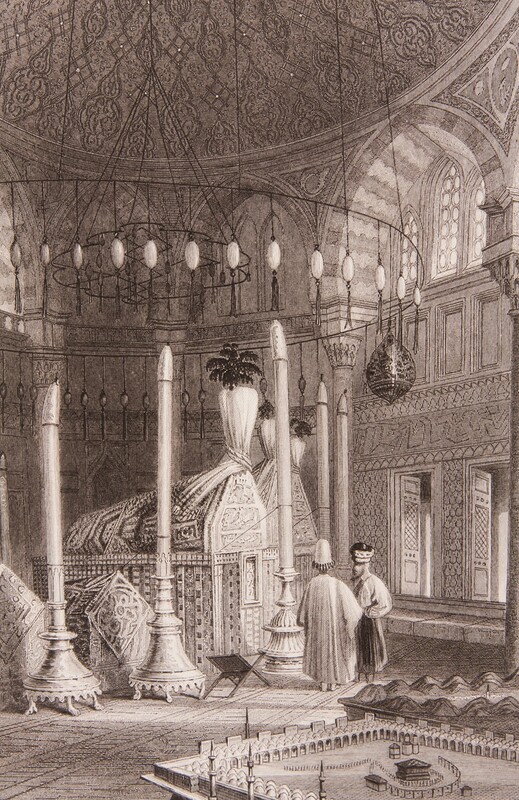 As is the custom, the turban of the empire is put on top of the chest.